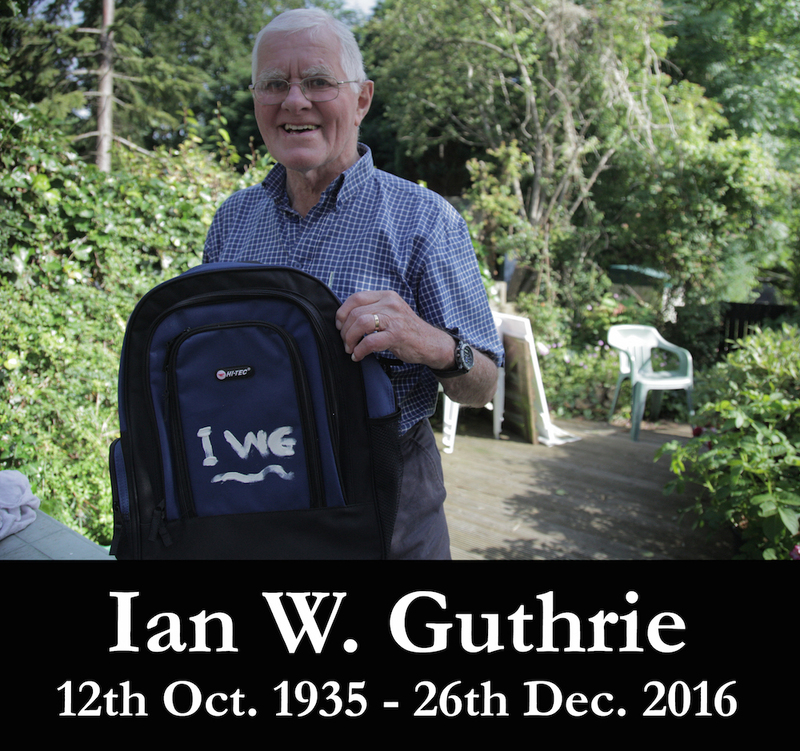 We're very sad to announce the passing of one of our stars, Karen's father, Ian W Guthrie. Ian - like Karen's mother Ann - had suffered a stroke, but in the months since, his health had deteriorated. Ian was with his family when he died on Boxing Day, at Glasgow's Queen Elizabeth University Hospital. You can read a short appreciation here by Karen, and we will post a longer eulogy here in due course. Karen and her family thank everyone for their condolences, and hope you will continue to enjoy, share and remember Ian through The Closer We Get, a legacy of which - to the surprise of many who didn't know him too well - he was justly proud.